Security, speed, compliance, and flexibility — all of these describe lighttpd (pron. lighty) which is rapidly redefining efficiency of a web server; as it is designed and optimized for high performance environments. With a small memory footprint compared to other web-servers, effective management of the cpu-load, and advanced feature set (FastCGI, SCGI, Auth, Output-Compression, URL-Rewriting and many more) lighttpd is the perfect solution for every server that is suffering load problems. And best of all it’s Open Source licensed under the revised BSD license. 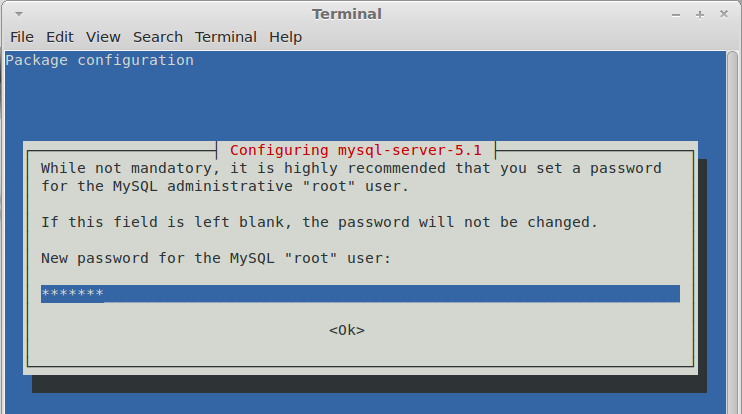 Here i will explain you the installation of Lighttd with PHP and MySQL on Linux Mint 12. To start off we will install Lighttpd. Type following Command on the Terminal and then press enter. Start the Lighttpd by using the following command. 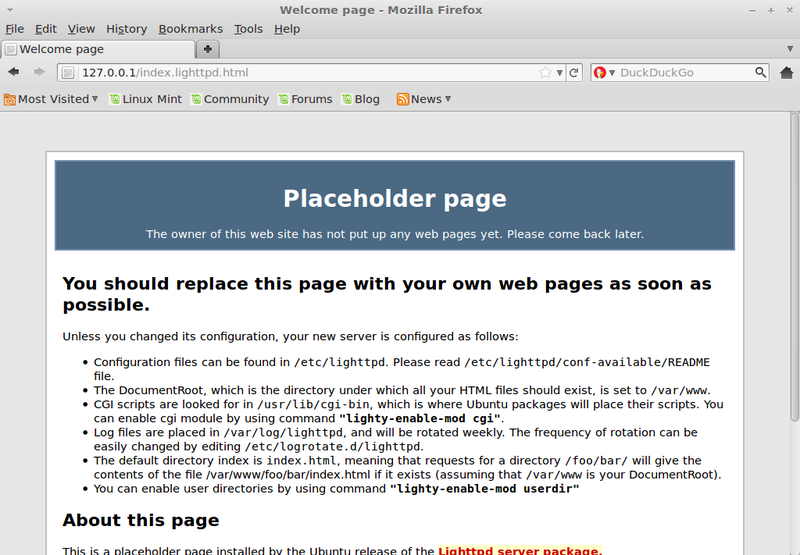 You should see the Lighttpd Placeholder page, lighttpd’s default document root is /var/www/ on Ubuntu / Linux Mint; the configuration file is /etc/lighttpd/lighttpd.conf and additional configurations are stored in the /etc/lighttpd/conf.available/ directory. Next is to install the MySQL server and client, both are available in Linux Mint repository; just issue the following command to install it. 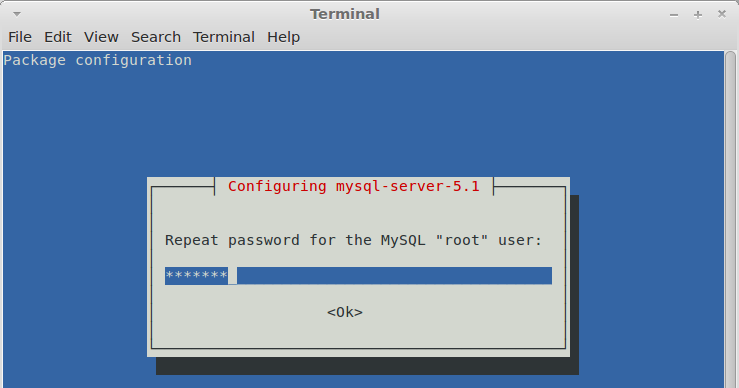 After the installation it will ask you to configure the MySQL root password, so just enter the password. 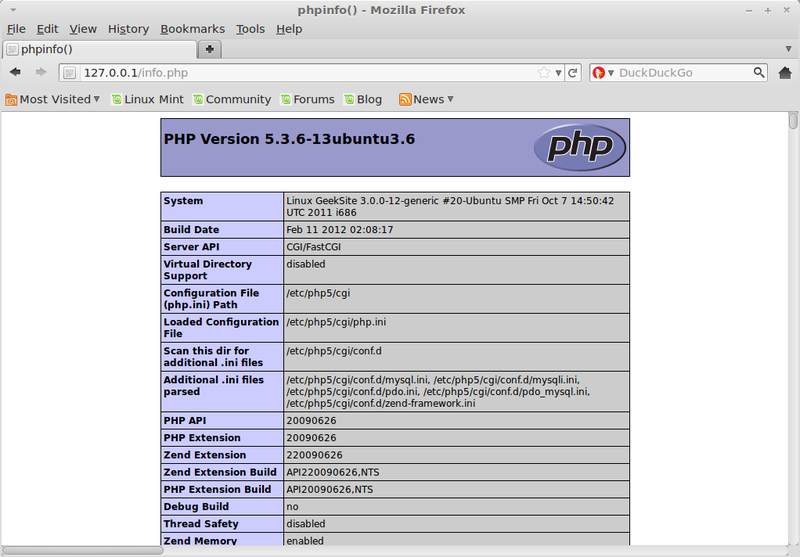 Next is to install PHP 5 on Ubuntu with FastCGI. 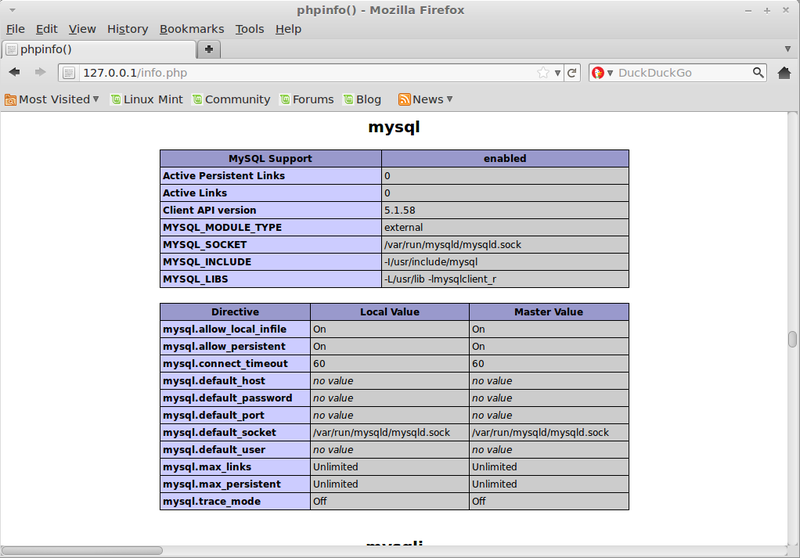 Ubuntu / Linux Mint provides a FastCGI-enabled PHP5 package. We can install by issuing the following command. To reload the server for changes to take place, type in the terminal. For testing the PHP, Place one PHP file on to the default directory of the Lighttpd. This will open up a file called phpinfo.php. As you see in the screenshot, PHP5 is working fine, and it is working through FastCGI, as shown in theServer API line. If you scroll further down, you will see all modules that are already enabled in PHP5; look the support information of MySQL. Now your web server is ready for working.